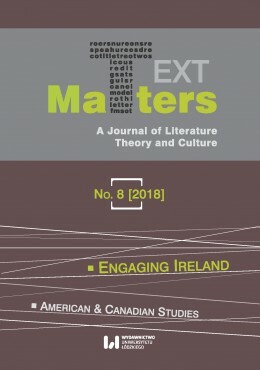 Text Matters: A Journal of Literature, Theory and Culture, based at the University of Łódź, is an international and interdisciplinary journal which seeks to engage in contemporary debates in the humanities by inviting contributions from literary and cultural studies intersecting with literary theory, gender studies, history, philosophy, and religion. The journal focuses on textual realities, but contributions related to art, music, film and media studies addressing the text are also invited. Submissions in English should relate to the key issues delineated in calls for articles which are placed on the website in advance. The journal also features reviews of recently published books, and interviews with writers and scholars eminent in the areas addressed in Text Matters. Though Text Matters derives its identity from a particular region, central Poland in its geographic position between western and eastern Europe, the journal’s intercontinental advisory board of associate editors and internationally renowned scholars makes it possible to connect diverse interpretative perspectives stemming from culturally specific locations. Głównym celem czasopisma jest aktywna kooperacja badawcza między środowiskami naukowymi, a w konsekwencji stworzenie przestrzeni do dzielenia się wiedzą i kreowanie forum dialogu naukowców. W ujęciu ogólnym głównymi obszarami tematycznymi czasopisma naukowego Text Matters są literaturoznawstwo i kulturoznawstwo, a także teoria literatury, gender studies, historia, filozofia i religioznawstwo. Text Matters publikuje oryginalne, wcześniej nieupowszechniane artykuły, recenzje i wywiady autorów z różnych stron świata. Szczegółowe informacje dla autorów, aktualny call for papers oraz wytyczne dotyczące edycji tekstu znajdują się na stronie czasopisma: http://text-matters.net/. Artykuły są recenzowane przez dwóch recenzentów zewnętrznych, którzy nie znają tożsamości autorów (double blind reviews). Ostateczną decyzję o publikacji artykułu podejmuje redaktor naczelna przy wsparciu recenzentów tomu oraz członków redakcji odpowiedzialnych za poszczególne działy czasopisma. The review process is arranged by double-blind system. Every text is subject to at least two reviews. Essays, interviews and reviews are welcome as contributions. Reviews should be between 1,000 and 1,200 words. Essays should be between 5,000 and 7,000 words (including all in-text citations, footnotes and the Works Cited section). Each essay should be preceded by an abstract of up to 300 words. It should also include both a full title and an abbreviated one (up to 75 characters, including spaces) to be used as a running header. MLA style should be used throughout. Major failure to comply with this requirement will result in your essay being automatically rejected. The number of footnotes should be kept to a minimum. When simply citing the source, use intext citations. Italics (and not underlining) should be used for titles of larger works, and double quotation marks for titles of shorter works. Use British spelling, but use -ize endings (realize, organize, etc.). Submitted texts should be edited in MS WORD (1997 or later). All margins should be 25 mm. Capitalize all the major words in the title. If you have a subtitle, use a colon to separate it from the main title. Use Times New Roman 12 and double space your essay. For block quotations and footnotes, use font size 10. For titles, size 14 in bold. Indent the first line of each paragraph by 10 mm. Dashes should be shown as em-dashes, with no space before or after the dash, e.g. Pullman is described as “a withered little lizard of a man” (McEwan 11). McEwan describes Pullman as “a withered little lizard of a man” (11). Pullman is described as “a withered little lizard of a man” (McEwan, Amsterdam 11). McEwan describes Pullman as “a withered little lizard of a man” (Amsterdam 11). In Amsterdam McEwan describes Pullman as “a withered little lizard of a man” (11). The rule which requires you to use double quotation marks for titles of shorter works also applies to in-text citations, e.g. : (McGahern, “High Ground” 13). Feminist critics have applied this model to portray women writers as disinherited daughters who are nonetheless capable of producing literature that contests, distorts and revises the master texts of their literary fathers (Gilbert and Gubar 46-53). It has also been argued that “an important site of conflict within post-colonial literary cultures is generated, as the backward-looking impotence of exile and the forward-looking impetus to indigeneity collide” (Ashcroft, Griffiths, and Tiffin 136). With more than three authors, include the name of the first author given followed by the phrase et al., e.g. (Smith et al. 243). When the name of the author is unknown, use the complete title in the signal phrase or a shortened title in parantheses, e.g. (“Sad Encounters” 15). If you need to quote someone cited in a text written by another author, begin the in-text citation with qtd. in: William Trevor describes himself as “Irish . . . to the last vein in my body” (qtd. in Core 373). For interviews, use the name of the person interviewed, not the interviewer. When giving page ranges, give the last two digits of the second page number whenever available, e.g. 1-3, 11-13 (not 11-3), 23-25, 42-59, 178-99. When necessary, more digits should be used, e.g. 178-205. For other rules, consult the most recent edition of the MLA Handbook. Quotations shorter than 40 words should be incorporated in the text and placed inside double quotation marks. Single quotation marks should only be used for quotes within quotes. In both cases, typographic quotation marks should be used instead of straight marks. Short quotations from poetry (up to three lines) should be incorporated in the text and placed inside double quotation marks. Each separate line should be indicated with a forward slash (with a space before and after). Her soul becomes the object of what one reviewer has described as “a battle . . . waged between the forces of good and evil” (McGrath 1). Spark, Muriel. The Public Image. Harmondsworth: Penguin, 1990. Print. Gunn, Giles, ed. Literature and Religion. New York: Harper, 1971. Print. Ashcroft, Bill, Gareth Griffiths, and Helen Tiffin, eds. The Post-Colonial Studies Reader. London: Routledge, 1995. Print. Quirk, Randolph, et al. A Comprehensive Grammar of the English Language. London: Longman, 1985. Print. García Márquez, Gabriel. “A Very Old Man with Enormous Wings.” “Leaf Storm” and Other Stories. Trans. Gregory Rabassa. New York: Harper, 1972. 105-12. Print. O’Connor, Flannery. “The Life You Save May Be Your Own.” The Realm of Fiction: Seventy-Four Stories. Ed. James B. Hall and Elizabeth C. Hall. New York: McGraw, 1977. 479-88. Print. Byatt, A. S. Introduction. A Mill on the Floss. By George Eliot. Ed. A. S. Byatt. London: Penguin, 1985. xi-xlii. Print. Howey, Ann F. “Reading Elaine: Marjorie Richardson’s and L. M. Montgomery’s Red-Haired Lily Maids.” Children’s Literature Association Quarterly 32.2 (2007): 86-109. Print. Russell, Richard Rankin. “Embod[y]ments of History and Delayed Confessions: Graham Swift’s Waterland as Trauma Fiction.” Papers on Language and Literature 45.2 (2009): 115-49. FindArticles.com. CBS Interactive, 2010. Web. 24 Mar. 2010. Banville, John. “Erin Go Bust.” New York Times 16 Oct. 2008: 39. Print. DeZelar-Tiedman, Christine. Rev. of A Map of Glass, by Jane Urquhart. Library Journal 15 Feb. 2006: 112. Print. McGrath, Patrick. “Never Did Spider More Hungrily Wait.” Rev. of Felicia’s Journey, by William Trevor. New York Times Book Review. 8 Jan. 1995: 1. Print. Tayler, Christopher. “The Emotional Housekeeping of the World.” Rev. of Too Much Happiness, by Alice Munro. Guardian.co.uk. Guardian 15 Aug. 2009. Web. 20 Sept. 2009. Martin, Valerie. Interview by Rob Smith. Contemporary Literature 34.1 (1993): 1-17. Print. Chaucer, Geoffrey. The Canterbury Tales. 1400-1410. MS Harley 7334. British Museum, London. Urquhart, Jane. Letter to the author. 17 May 2001. TS. Swift, Graham. “Re: Last Orders.” Message to the author. 22 June 2001. E-mail. Nowak, Marek. “The Uncanny in the Works of Angela Carter.” Diss. U of Łódź, 2004. Print. Woolf, Virginia. “To T. S. Eliot.” 28 July 1920. Letter 1138 of The Letters of Virginia Woolf. Ed. Nigel Nicolson and Joanne Trautmann. Vol. 2. New York: Harcourt, 1976. 437-38. Print. Nowacka, Anna. “The Gothic in the Works of Angela Carter.” Diss. U of Łódź, 2004. Łódź: Wydawnictwo Uniwersytetu Łódzkiego, 2005. Print. Byatt, A. S. Possession: A Romance. 1990. London: Vintage, 1991. Print. —. Interview with Nicolas Tredell. Conversations with Critics. Ed. Nicolas Tredell. Manchester: Carcanet, 1994. 58-73. Print. Give the date of publication as well as the date of access (examples included in specific sections above). Start the entry with the title of the work. Alphabetize the entry by the first word of the title, omitting a, an or the. Give the city of publication, the publisher’s name, the year of publication and the medium consulted (see examples above). Shorten the publisher’s name, omitting articles (a/an/the), business abbreviations (Inc., Ltd.) and descriptive words (Books, Press, Publishing, Publishers, House). Cite the surname of the publisher only (e.g. “Norton” for “W.W. Norton”). If more than one name is included, give only the first surname (e.g. “Faber” for “Faber and Faber”). Use “U” and “P” when citing university presses, e.g. Oxford UP, U of Michigan P.
For all parties involved in the act of publishing (the author, the journal editor(s), the peer reviewer and the publisher) it is necessary to agree upon standards of expected ethical behavior. The ethics statements for Text Matters are based on the Committee on Publication Ethics (COPE) Best Practice Guidelines for Journal Editors. The editor will be guided by COPE’s Guidelines for Retracting Articles when considering retracting, issuing expressions of concern about, and issuing corrections pertaining to articles that have been published in Text Matters.